The ISS worked in partnership with South Africa’s Western Cape Department of Community Safety (DoCS) to design and deliver a major crime and violence conference, a milestone in efforts to make the province safer for its people. All three spheres of government came together in Cape Town with business, academics and civil society to discuss challenges and find innovative and practical solutions to endemic safety challenges. The two-day Safer Western Cape event in November featured more than 50 expert speakers and 250 delegates including community policing forums, neighbourhood watch members, local authorities and activists representing victims of violence. Plans are already being developed to repeat the event in 2019. Safer Western Cape was developed as part of a growing partnership between the ISS and the province, with support from the Hanns Seidel Foundation (HSF). The conference tackled major human security issues including gender-based violence, rural safety, gangs, murder, alcohol and drugs, and environmental crime. 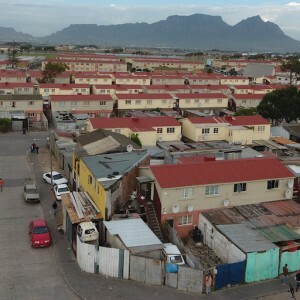 The event was attended by Western Cape premier Helen Zille, national police minister Bheki Cele and the civilian head of South Africa’s national police oversight body Alvin Rapea. Also contributing were the chief of the Bavarian state police in Germany Prof Dr Wilhelm Schmidbauer, provincial police commissioner Lt-Gen Khombinkosi Jula, Western Cape minister of Community Safety Alan Winde, and the heads of government departments and agencies. The focus of Safer Western Cape was on collaboration between government, business and communities, with an emphasis on evidence-based policy development and best practice interventions. ‘The expertise of the ISS enabled us to deliver a really outstanding conference that is already guiding policy and practical interventions to reduce violence, tackle priority crimes and build partnerships in the interest of a safer province,’ said Amanda Dissel, DoCS director for policy and research. Winde spoke of the need to understand the root causes of violence and focus more money and energy on long-term violence prevention, including programmes to support parents and children during the critical first thousand days of a child’s life. Safer Western Cape conference presentations can be viewed here.